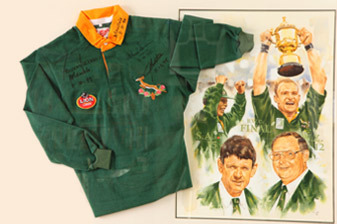 Valuing sporting memorabilia needs the eye of an experienced expert who can determine the market value of your item. As with all memorabilia and collectibles, the value of sports memorabilia is determined by rarity and significance. This is an extremely specialized field that can only be carried out by valuers with years of experience in the industry. The worth of sports and other memorabilia is important to the holder be it for wealth or personal reasons. Our valuers will determine the market value of your sports memorabilia for insurance and/or market purposes with the highest respect to confidentiality and privacy.